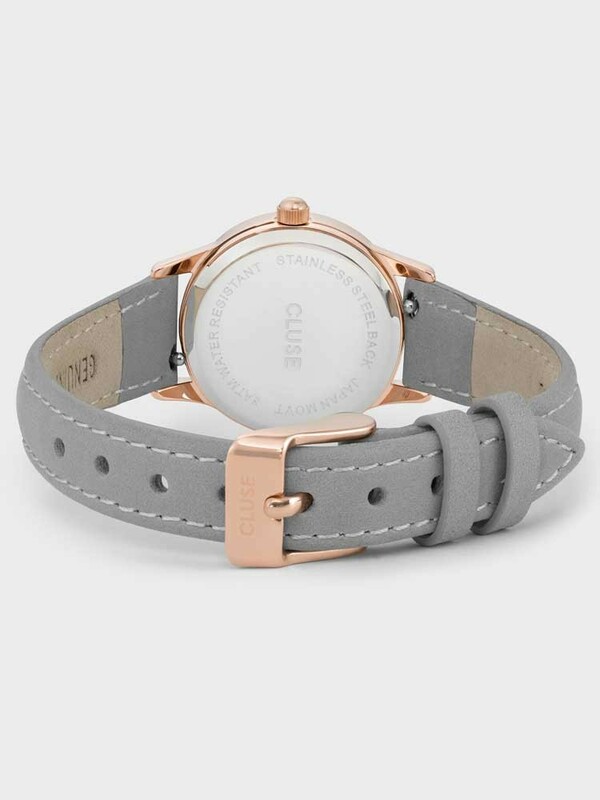 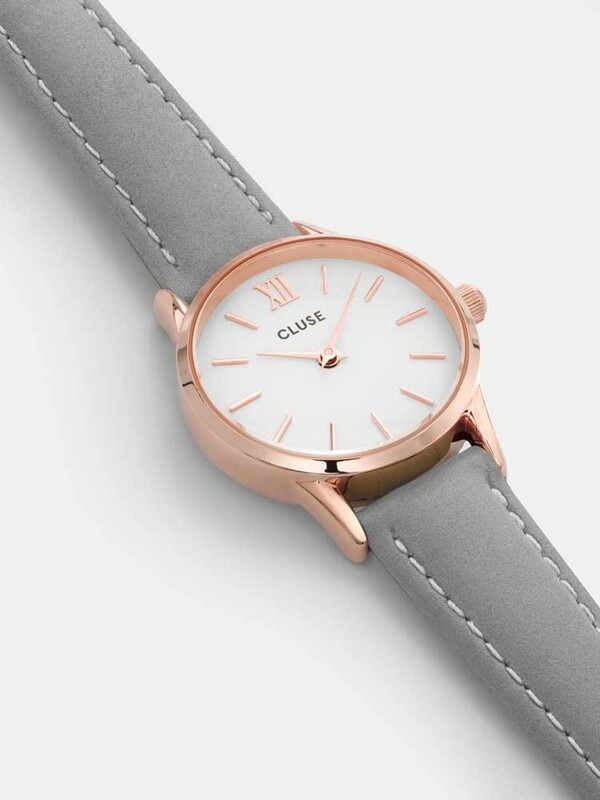 Bring an elegant finish to your evening wear with this attractive ladies strap watch from the Cluse La Vedette range. 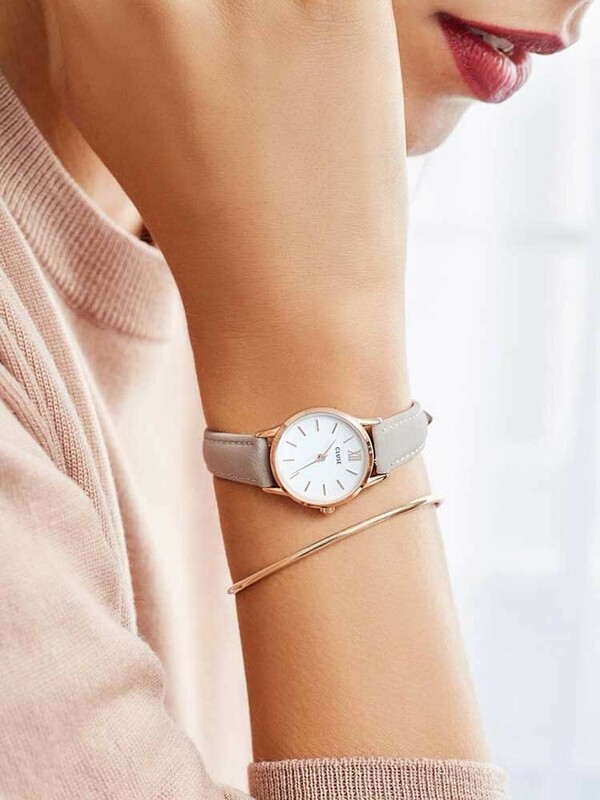 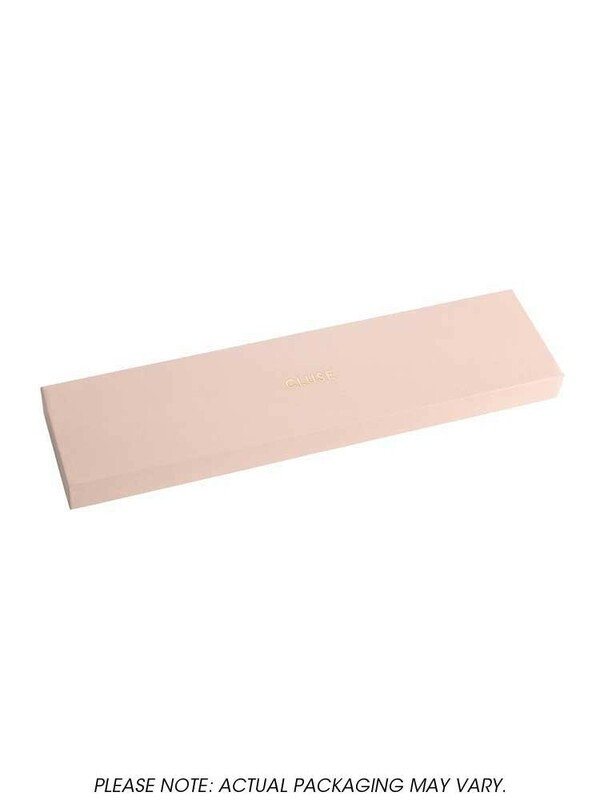 The gorgeous rose gold tone case houses a round white dial with matching rose tone roman numeral 12 o'clock, baton hour markers and slender hands. 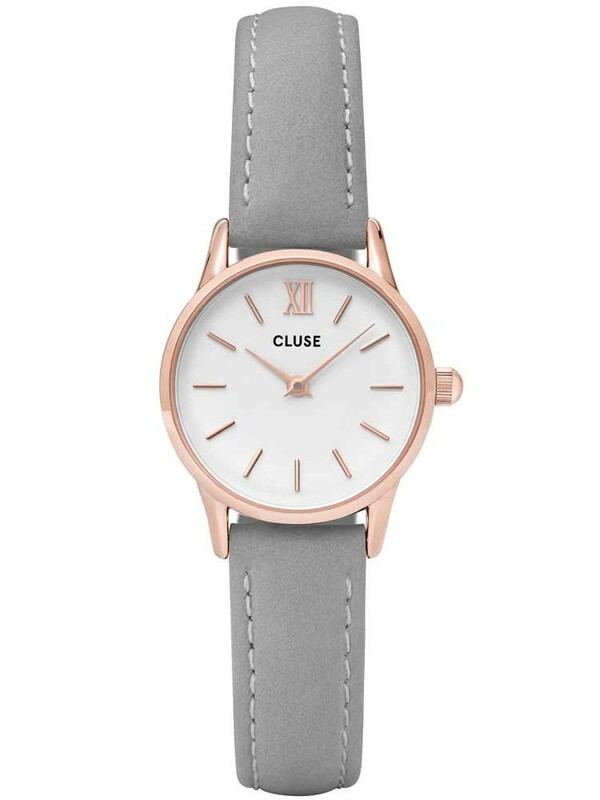 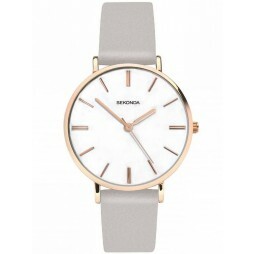 Complete with a comfortable grey leather strap for a stylish contrast, buy with confidence.